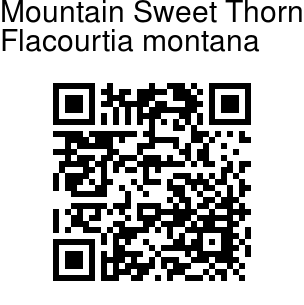 Mountain Sweet Thorn is a tree up to 8 m tall, endemic to the Western Ghats. Trunk is branched and possesses simple thorns. Bark is brownish, smooth, blaze cream. Alternately arranged leaves are narrow elliptic- oblong, with stalks 0.4-0.9 cm long. Leaves are velvety, 7-18 cm long, 4-8 cm wide, with a tapering tip, wedge-shaped base, and toothed margin. 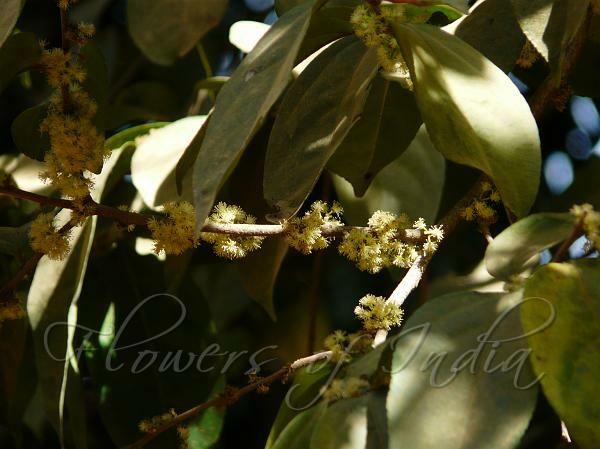 Flowers are small, yellowish, spherical hairy balls. Male and and female flowers on separate trees, borne in cymes in leaf axils. Berry is red when ripe, round and fleshy, 1-seeded.